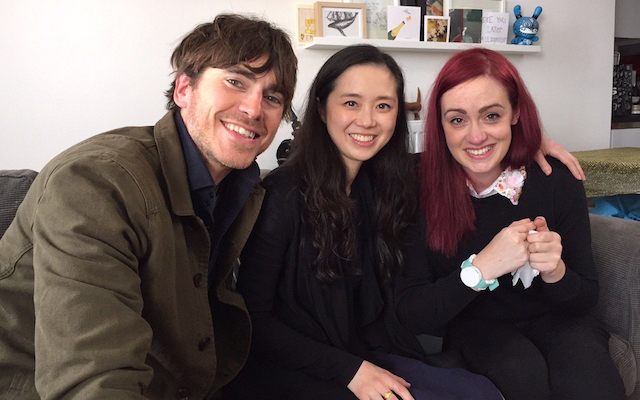 ‘Project Emma’ began life on UK television programme ‘The Big Life Fix with Simon Reeve’, which followed some of the country’s top engineers and designers as they invented life-changing solutions for people living with chronic conditions. 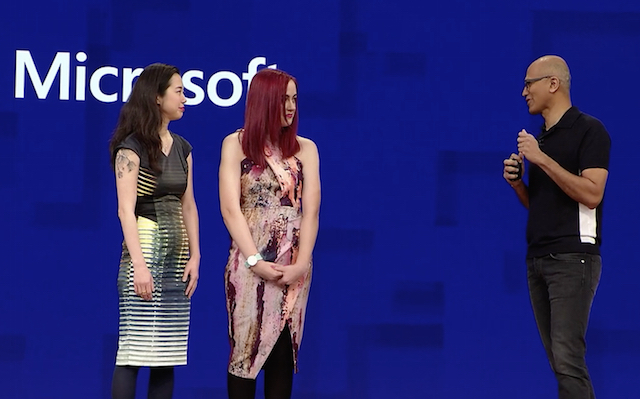 Haiyan Zhang innovation director at Microsoft Research Cambridge, and Emma Lawton, graphic designer and Parkinson’s vlogger, were paired together. 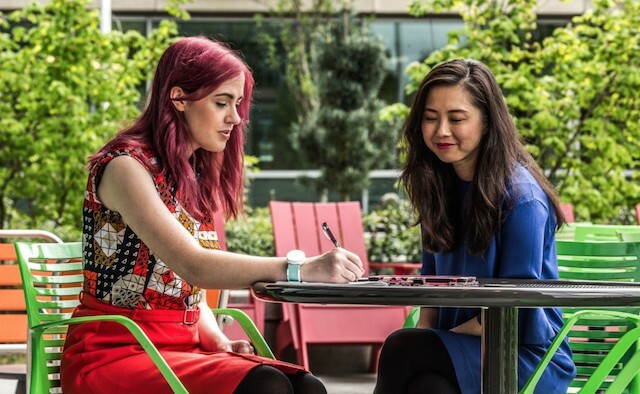 Haiyan Zhang, innovation director at Microsoft Research, and Emma Lawton, a 33-year-old graphic designer who lives with Parkinson’s, unveiled a tremor-reducing wristwatch device at the prestigious Microsoft Build 2017 conference last month. Emma explained that the prototype wearable has allowed her to “control my own career” again at a time when she feared she might have to give up on her job as a creative director. Reducing many in the audience to tears, she said: “I was starting to imagine that I’d have to change my career because it’s difficult to be a creative director and yet not explain your designs through sketches, or to be able to practice what you preach. In their keynote feature video, Haiyan explained how she and her team based their invention on the gyroscope principles used in vibrating cutlery technology. The wearable vibrates in opposition to the uncontrollable tremor, allowing Emma to control the pen with much more accuracy. Microsoft tweeted pictures of Emma’s handwriting, which showed the differences in legibility when writing with and without the device. 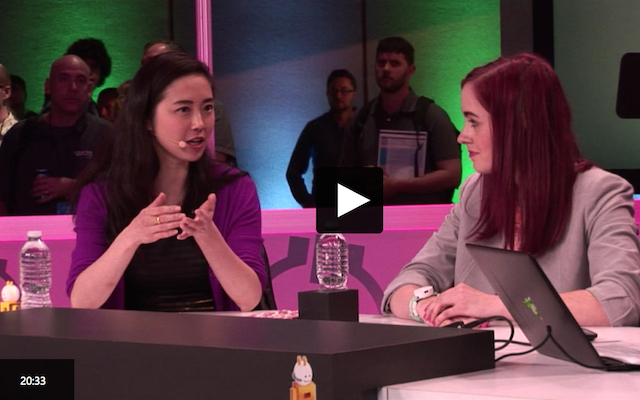 Jenny Lay-Flurries, chief accessibility officer at Microsoft praised its “inclusive design”. Satya Nandella, CEO of the Microsoft Corporation – who also spoke at the event ­­– showed his appreciation of the “inspiring” project. Haiyan continued: “We’re now working with clinical neuroscientists in London to do more clinical studies. We’re bringing in more people with Parkinson’s to try out this device. We think that this particular vibration pattern works for Emma, but there might be other patterns that we can adapt for different people. The ‘Project Emma’ team is also thinking about how the wearable could track symptoms over time, to offer people with Parkinson’s insights into their symptoms, and also advise as to when to take medications. The team is planning to begin initial studies on this technology in London in the near future. Watch a video of Haiyan and Emma explaining ‘Project Emma’ below. Can we use this ? Trial see how it does? Please I habpve PD and this would be a great try! I have had life long Essential Tremor and I am wondering if this would help me? My mother is 79 in great physical condition and swims a lot for exercise. She’s had essential tremors for about 15 years. She would love to help if possible. Tks!! I also have essential tremors. Would be very interested in taking part of any trials going on. i have a form of Ataxia, i belive this device would be able to help me aswell! id love to try it. My son has cerebral palsy and dystonia, would it be useful for that ? My husband has PD and would be interested in being involved in a test group if possible. Hello, I do not have PD but an essential tremor. I can not write most of the time also I am a artist and can not hold a paint brush steady. There have been times the brush has flown out of my hand. It has effected daily life and depressing. Does this device help? I would like to be in your study and would like to try. I would be so grateful to be part of the test group as my essential tremors have gotten progressively worse through the years and I am uncomfortable pursuing surgery. Thank you. I would be grateful if somebody could tell me if there is an ongoing clinical trial about this, please. I have very bad essential tremor which makes it very difficult to do mundane things like eat with a fork or spoon, write, brush my teeth, pretty much anything that requires me to use my hands. Could the watch help me at all? My mom was a first grade teacher for 32 years. Her handwriting was impeccable. Now she can hardly feed herself. He developed tremors in her right hand and so she learned how to write with her left. Now her tremors in her left hand are becoming bad. I purchased her the liftware to help with her meals. I would love to know how I can get her on a trial or purchase these bracelets…. Please, can anyone tell me where someone could acquire this device? How do you get this watch? My mom has Parkinson’s and has tremors. Would love to know if and when it becomes available or if at all possible be part of the trial.